As Hitler conquers Poland, Norway, France, and most of Western Europe, England struggles to hold the line. When Germany’s ally Japan launches a stunning attack on Pearl Harbor, America is drawn into the war, fighting to hold back the Japanese conquest of the Pacific, while standing side-by-side with their British ally, the last hope for turning the tide of the war. 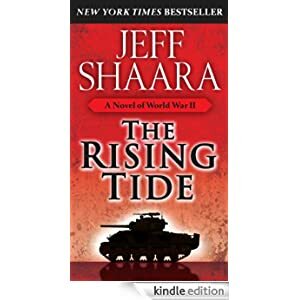 Through unforgettable battle scenes in the unforgiving deserts of North Africa and the rugged countryside of Sicily, Shaara tells this story through the voices of this conflict’s most heroic figures, some familiar, some unknown. As battles rage along the coasts of the Mediterranean, the momentum of the war begins to shift, setting the stage for the massive invasion of France, at a seaside resort called Normandy. Shaara’s stirring portrayals bring the heroic and the tragic to life in brilliant detail. Buy this historical fiction novel for only 99 cents today.